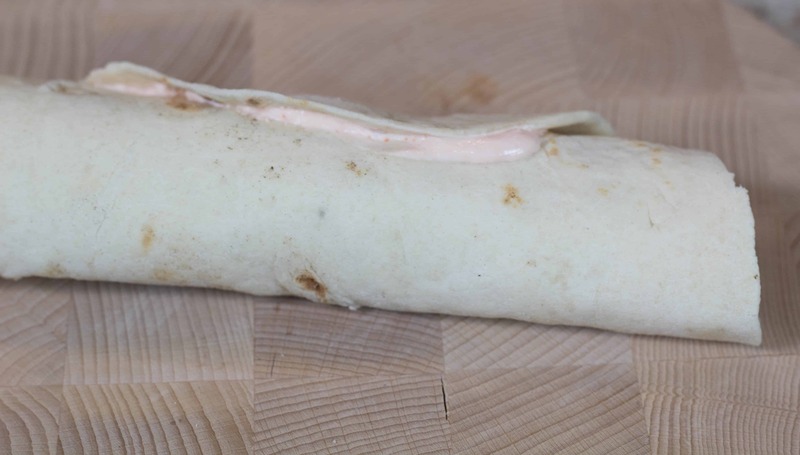 To keep the filling from falling out as you roll, use a knife to move the filling toward you when you roll up the tortilla. You can secure the roll with toothpicks or use more of the Frank’s yogurt spread to make the tortilla “stick,” together. 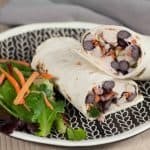 I like to cut the tortillas in half when I’m finished rolling, that way when I need a snack, I don’t have to eat the entire wrap, but maybe just a half and save the other half for later. 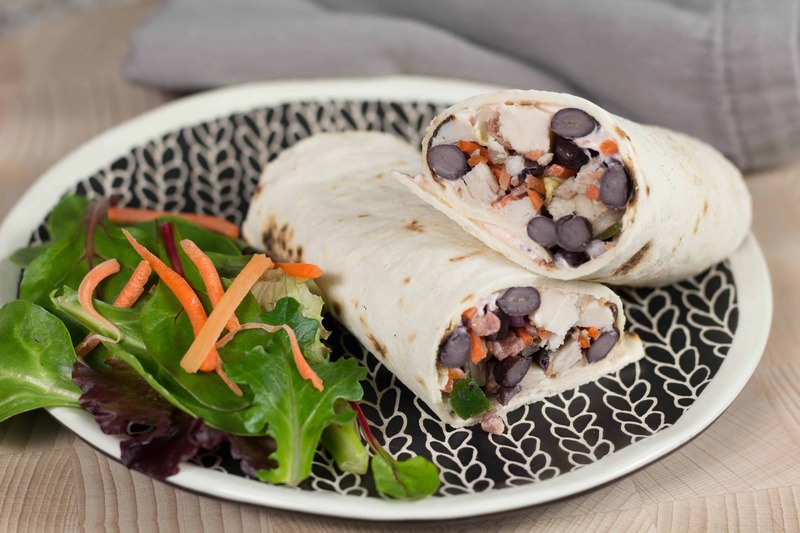 Delicious wraps you can make ahead. 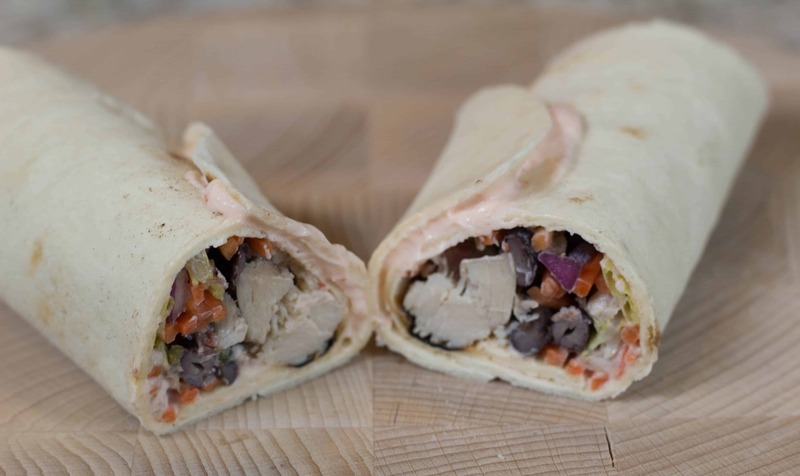 Great for traveling, lunch or even dinner! 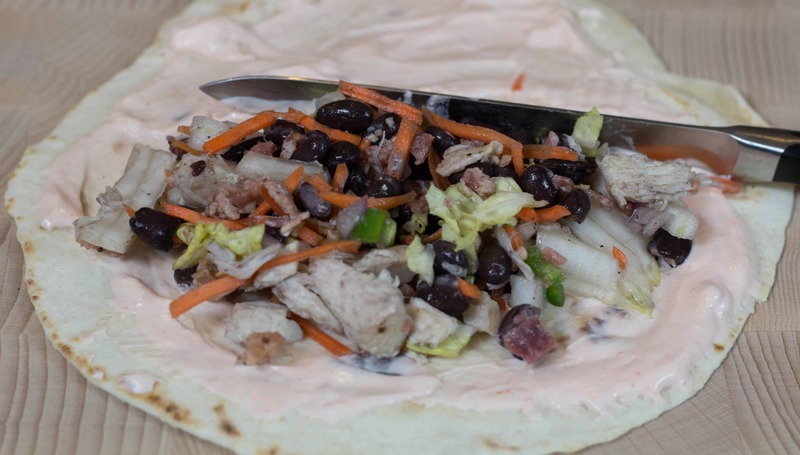 In a medium bowl, combine chicken, cabbage, beans,carrots, onions, and jalapeno. Mix well. In a small bowl, combine yogurt, Frank’s Red Hot Sauce and mayonnaise. Place a tortilla on a cutting board, spread about 1 T. the Frank’s Red Hot Spread over the entire tortilla. Place 1/2 c. filling near the bottom of tortilla. Sprinkle with 1/2 oz (about 1 T. of cheese) and roll up tortilla. You can also use lettuce in place of cabbage but only if you are planning to eat them right away. I find that the cabbage holds up a few days in the fridge where the lettuce and spinach would not. No Replies to "Buffalo Chicken Wrap"